Three planned tar sands pipelines in North America could devastate many local communities, says Ocean Hyland from the Tsleil-Waututh First Nation. 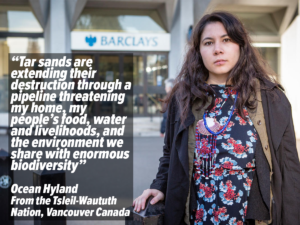 So, backed by thousands of Greenpeace supporters, she’s speaking directly to Barclays – the only UK bank still choosing to fund tar sands pipelines. Tsleil-Waututh means ‘people of the inlet’.Our stories and legends show our deep connection to this inlet on the Pacific coastline of British Columbia. We have always based our lives and culture on it. Historically, 90% of our food came from the inlet; my ancestors said: ‘When the tide goes out, our table is set’. I’ve always grown up by the water, wandering in the forest and playing on the mountain. I was taught that you treat the land well. 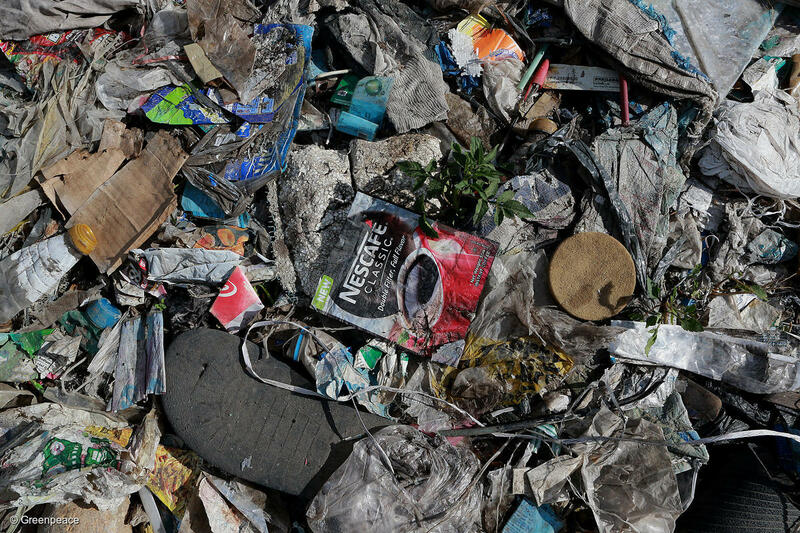 None of us own it: it’s sacred and it’s up to all of us to care for it. 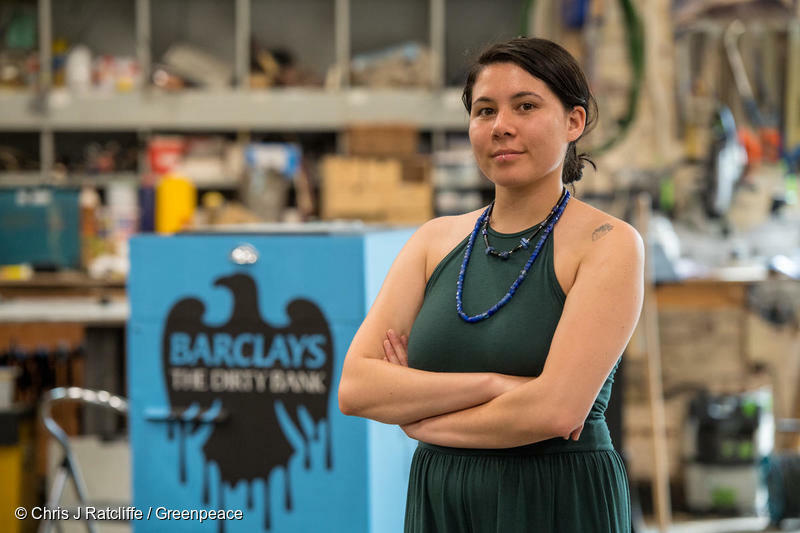 At Barclays’ London AGM, I asked the board to withdraw all further funding for tar sands pipelines, and I joined the Greenpeace action at Barclays HQ. It was amazing to meet Greenpeace supporters who have the same vision in their heart as me, the same sense of injustice. If you cut the funding, these pipelines are going nowhere. People think getting banks to stop investing is impossible, but HSBC, BNP Paribas and ING now all won’t lend to tar sands pipelines.I explained to Barclays’ board members and shareholders why tar sands pipelines would be so damaging because it’s the one British bank still choosing to fund them. The Westridge Terminal, at the base of the inlet, is where oil tankers would queue up to collect oil. It would affect so many communities, endangering the land, the water and the animals and creatures, and when oil leaks it gets into the air we breathe every day. From inside the earth up to the sky, these pipelines would affect everything. It’s been amazing to see people around the world recognise that we as humans can make a change. People are saying to banks and corporations: ‘This is what you’re doing; this is how you need to stop’. They’re amplifying the voices of the people in affected areas, and standing up for animals and for the land. We have built the first traditional watch house in around 200 years to monitor what’s happening at the Westridge Terminal. Traditionally we built watch houses so warriors could see if enemies were coming. Now we’ve built a watch house to see what industry is doing to the land. I’ve been up there a lot. I’m so worried about our land and our future, but above all I’m hopeful. I’m scared that future generations won’t be able to enjoy what our ancestors looked after so well, but I also know so many people share my deep care for the land and will do anything to protect it.